Hey, I have an idea. Go figure. 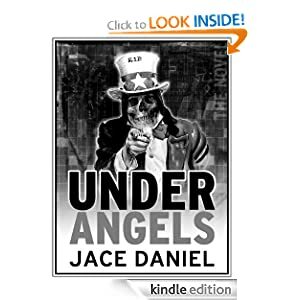 For 2009, I will be revisiting a story I’ve been developing for almost three years called Under Angels. A dark fantasy slash mystery slash thriller. It originally came out of my mind as a screenplay in 2006, but I’d always intended to rip it out as a novel. You know what they say about the movie and the book: the movie is never as good as the book. Writing for screen differs significantly from prose writing. In a screenplay, you’re writing what people are seeing. Nothing more. It’s a unique form of storytelling, and I enjoy it very much. But there are other aspects of a story that cannot be seen, and therefore cannot be told through the vehicle of a screenplay. Namely: what a character is thinking. Under Angels is a considerably cerebral thing, a bona fide mindfuck, a story that cannot fully be told on film. There are many layers to the piece; it demands to be told in traditional prose. Once I finished the screenplay in 2006 — which was a great exercise for me as a storyteller — I walked away from Under Angels for about a year and a half, quietly promising myself that I’d get to it some day and see what it really wanted to be. What it really needed to be. This past summer of 2008, I felt drawn to the story again. During the first two weeks of June, I hashed out a rough draft of what ended up being a 15,000-word novella, 26 chapters, with an Epilogue. The purpose of the exercise was to tell the story to myself. Like an attendee at a lecture, I transcribed notes from my imagination, focusing on getting the story on paper, not spending much time editing or fiddling with the mechanical aspects of the prose, intending to revisit my notes later to try to make sense of them. It’s quite a bizarre experience, writing a longer than short story. Here’s what happens: when you’re finally done with your first draft of a major piece of storytelling, you’re so close to the material that you can’t see it anymore. You’re numb. Blind. 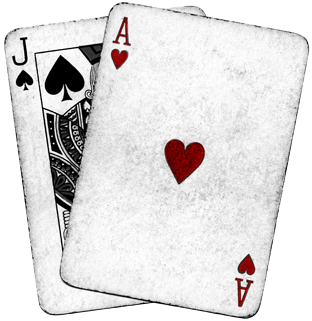 The masters tell us that what we need to do in that situation is walk away from the material, and separate our mind from the story with a solid chunk of time. Shelve the thing, and let it collect dust. When we can’t remember what the story was about anymore, it’s safe to go back to it. The fresh perspective will be there. I’d printed out the first draft of Under Angels and read through it one day back in June, when I was done. I hadn’t seen it since. But last week, while cleaning out the back of my truck, I found a few loose pages. It took me several seconds to realize what it was, and who wrote it. That indicated it’s been enough time, and I’m now ready to go back in and kill it once and for all. But here’s the thing: I don’t particularly want to dive in and devote 100% of my energy to Under Angels for three months, since the idea of doing a novella is just too monumental and mentally tasking. But I do want to revisit the story. Not only to tell it, but to actually read it. You see, while I told myself the story back in June, I still haven’t sat down to listen with the benefit of distance. It occurred to me that there are 26 chapters, and 52 weeks in a year. Hmmm. Felt like the muse was saying something. So as an experiment, I thought, why not blog a novel? I’ve never seen that done. A blovel!? It could be like a serial, or a comic strip. Or even LOST, but with a resolved ending. By spreading the rewrite process across the span of a year, I could allocate a part of myself to Under Angels long-term, without becoming buried by the largeness of it. It’s also a story I need to get out of my system in some fashion. I don’t want to be sitting on this thing for the rest of my life waiting for something to happen. I hereby assign myself the following task for 2009: BLOG ONE CHAPTER EVERY OTHER WEEK. That means take the rough draft and rewrite it, one chapter at a time, tightening it up. A chapter of Under Angels every other week, starting New Year’s Day. Yikes. But it’s a pressure I need to accept if I’m ever gonna finish the thing. If I’m diligent, I’ll have something to show for it in a year, and will have a clearer picture of what Under Angels is. I’m not sure if it’ll be a final product, but it will be a lot closer. If nothing else, it’s better than having it collect dust for another year. Telling the story will be good fun. But I’m probably more stoked to hear the story, because, quite honestly, there is much that I’ve forgotten. In certain abstract ways, I don’t know anymore about it than you do. It’ll be a process of discovery, one letter at a time. With that, I now descend into the dark twisted world of Under Angels. We’ll start on Thursday. See you down there. 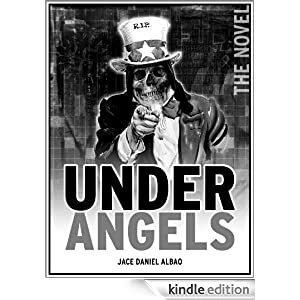 UPDATE 08/27/2011: Under Angels the novel is now available at Amazon! The original 2009 blovel was proudly jammed out on the Thesis Theme Framework for WordPress. Get Thesis here!